This is my first post on my website, and I hope to post a lot more going forward. To kick things off I thought I’d post one of my favourite images that I took last year. It was July 2011, and I was vacationing with family in the Shuswap in British Columbia and looking forward to sunshine and good times by the lake. Unfortunately, on this day it was overcast and rained intermittently. So, I took the opportunity to get out my macro lens and go looking for bugs along the lane out the back of the cabin we had rented. 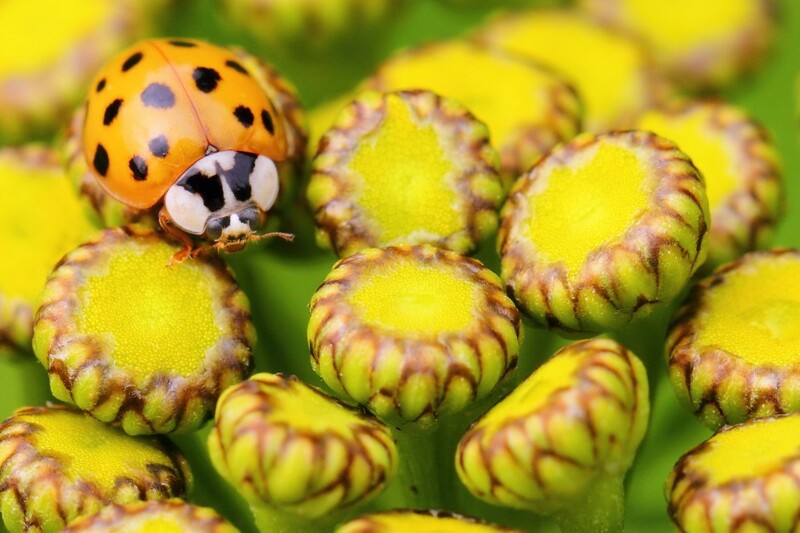 To my great delight, there were bugs of all sorts and I was particularly pleased to be able to shoot this yellow-coloured ladybug…quite different from the red ones I tend to see back in Alberta! With the bright overcast sky there was no need for flash & I was able to shoot hand-held no problem. I’m not sure what the flowers in the shot are called, but the bugs loved them and to top it off they certainly added a great background pattern to the image. Stay tuned for most posts, plus updates to the website on an on-going basis.